Our client, age 25, was in the United States to attend a small community college in Orange County. She was here from China on a student visa. She hoped to earn an associates of arts degree in marketing and then transfer to a four-year school here, while improving her English. No sooner had she arrived here than her parents told her that her father had made a bad business decision and was not earning any money back in China. Being thousands of miles away, she was stressed out for her parents and worried about their ability to continue supporting her here. She moved out of an apartment she had all by herself and rented just a couch to sleep on at a friend’s apartment, to save money for her parents. One day, the stress seemed to get the better of her after she dropped off her friend at John Wayne Airport. Our client went to nearby South Coast Plaza and walked around, depressed at how everyone seemed to be so wealthy and she was not. She went into the Sephora store and browsed the makeup. For some reason that she even now cannot explain (shoplifting can have many complicated psychological origins), she decided to take three expensive lipsticks in individual boxes. She put them in her purse and walked out of the store without paying for the items. No sooner had she walked even five feet outside the store when loss prevention stopped her. They politely asked her to return to the store and whether she had anything in her purse that she had taken without paying for. Our client burst out crying, showing the loss prevention the three lipsticks, which were worth $289. She was then handed a ticket by Costa Mesa police officers for a violation of Penal Code § 484(a) and signed a promise to appear in the Westminster Court in about two months. Our client immediately called Greg Hill & Associates and spoke with Greg. She then met with him on a Saturday afternoon at the office. Greg listened to the client explain what had happened and her personal situation. He explained how such cases are handled in Westminster, explaining that a delayed entry of judgment plea bargain is often offered to someone like her with no prior history. However, the immigration consequences of such a plea, even if no conviction results, are that the immigration courts would consider such a plea equivalent to a conviction for a crime of moral turpitude (CIMT). Therefore, Greg said he would try to get the prosecutor to amend the complaint to allege an offense such as trespassing (Penal Code § 602(o)), which would not be a crime of moral turpitude, but cautioned the client that she may have to agree to more onerous terms of a plea bargain for this. Greg also recommended that the client enroll in an online shoplifting prevention course and complete it. Greg then appeared in court on behalf of the client (she stayed in school). Sure enough, the prosecutor at the Westminster court did offer a plea bargain of DEJ (delayed entry of judgment), but the client would have to enter a plea of guilty to a charge of shoplifting, a CIMT. First, though, Greg brought back the police report and continued the arraignment so his client would not enter any plea, even not guilty, to shoplifting. The client then reviewed the police report and was explained what the DA said and Greg’s plan. At the next court appearance about a month later, Greg proposed to the DA that our client would make a $300 contribution to a fallen police officers’ fund if the DA would amend the complaint to allege trespassing, instead of shoplifting, due to the client’s immigration issues. The DA had to speak to her supervisor, who countered with a $500 contribution to a Victim Restitution Fund, but otherwise said yes. 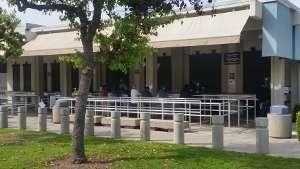 The remaining terms of the DEJ were that the client enroll in and complete a six-hour theft prevention class (costing $300) at Santa Ana College and provide a DNA sample at the DA’s office. The client then entered into a plea bargain to the trespassing charge only and the shoplifting charge was dismissed. If she does complete all the requirements, including making the donation and taking the class, as well as giving a DNA sample, her case would be dismissed in 90 days. The client was happy that Greg had engaged in some creative plea bargaining to avoid the immigration consequences for her.